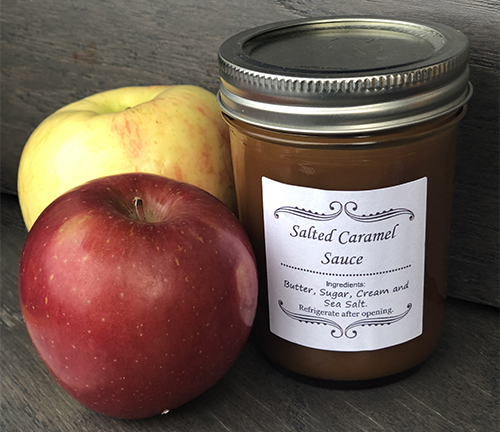 Order your Mishloach Manot Purim Gifts filled with apples with salted caramel sauce from Mix Bakery: now available for sale using the form below. They are filled with traditional items of food to give to Jewish friends and community members for only $15 each. See the example below. Pay for your Purim Gifts below, pick up in person at the Purim Carnival, or make arrangements with Mindy Hertz at frommee@hotmail.com (and then you can deliver in person or at your convenience). Mishloach manot (Hebrew: משלוח מנות‬, literally, "sending of portions"; also spelled and pronounced mishloach manos), or shalach manos (Yiddish), and also called a Purim basket, are gifts of food or drink that are sent to family, friends, and others on Purim day. The mitzvah of giving mishloach manot derives from the Book of Esther. It is meant to ensure that everyone has enough food for the Purim feast held later in the day, and to increase love and friendship among Jews and their neighbors. in advance of the Purim Carnival has passed. How many Apples & Caramel Sauce sets do you want? $15ea. Total charges for the Purim Baskets. At the PayPal site, use your PayPal account by simply logging in to your PayPal account. To use your credit card, just click "Pay with a debit or credit card" and it will allow you to enter your credit card information. Once your payment is complete, you will get TWO confirmation emails: the first from PayPal letting you know that you made a payment, and the second from Temple Sinai thanking you for your basket order. Payment due in the Temple Office ASAP. PLEASE NOTE: You have chosen to pay Offline via Cash or Check. Your payment is due ASAP. Please send your payment to Temple Sinai or have it ready when you pick up your Purim Basket(s) at the Carnival. Make checks out to "Temple Sinai" and mail to Temple Sinai, 3405 Gulling Road, Reno, NV 89503, or, drop it off at the Temple office. Be sure to put "Purim Basket" on the memo line of the check so we can match your payment to this order.